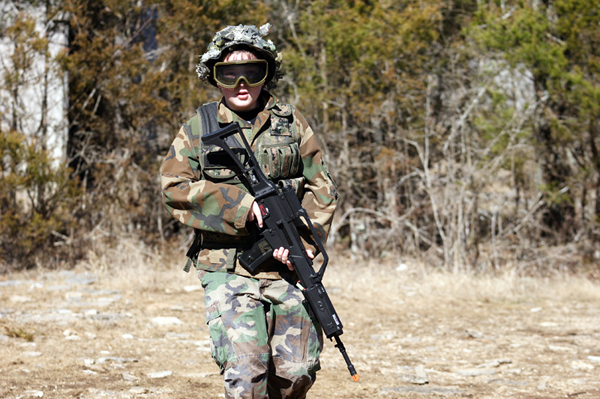 Airsoft wars are very much similar to the action in real battle grounds so it is very obvious that the tactics used in airsoft combat are very much similar to the real ones. The ultimate goal is the same, don’t get in the way of a bullet – eliminate the enemy and win the thing. We thought it would be a good idea to bring up the common and easy to adopt tactics that are essential in the airsoft combats. Let’s check out some of them. Never ever look over an obstacle whether it’s a wall, a barrier or a fence. Always look around obstacles and by doing so, you don’t expose much of the body so there is a less chance of getting hit by the enemy. If you look over the obstacle, what you are doing is exposing a major area of your body which can be easily targeted. So remember it, look around obstacles and stay safe. Don’t get too much excited and start running like crazy in the field otherwise, you will just be a piece of cake for your opponent team as you are exposing your whole body when you are upright. Always try to get as low as possible so that your enemies can’t hit you straight up. 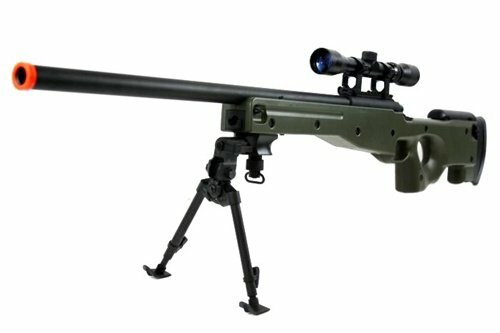 But be careful with your airsoft sniper rifle, don’t ruin it in mud or water when you are in low posture. Buddy Rush method always helps when you are on an airsoft quest. Rush towards the target with the 3-5 second split. While one of you is rushing towards the target the other will give cover fire and keep the enemy engaged. Rush toward some cover which is nearby. It can be anything like a rock or a tree. Make sure to practice your moves to make this tactic perfect. Coordinate with your teammate with hand signals. While you are keeping your enemy busy, your buddy can move further to the target without the chance of being hit. 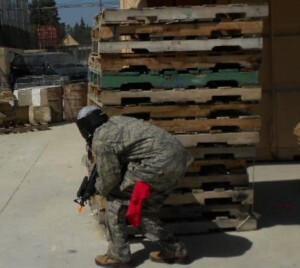 Another airsoft tactic is to fool the enemy team players by making them think that they are in a safe position even if they are not. All you have to do is to hesitate while shooting at the opponents even if you have a clear shot, by doing this they may think that you don’t have a clear shot and they will try to come closer to you. And when they are totally exposed on the move, you can hit them. And in case they are firing continuously at you, you may consider changing your position immediately. Your enemy team will probably be applying their learnt tactics in the game so you have to be extra patient in the field. Always take quick peeks and don’t just gaze long enough which will risk your exposure to the opponents. Even if you don’t see your opponent team players through quick peeks, it’s still OK as long as you are still in the game. These were some of the common tactics used in the airsoft battles. Keep patient in the game and try to follow these basic tactics so you will eventually become a better player. © 2019 Armed With Airsoft. All rights reserved.